Apple's March 25 event was always going to be unusual as it was the first Spring extravaganza to not include any hardware at all. In the end, it was even more unusual because it barely contained anything. 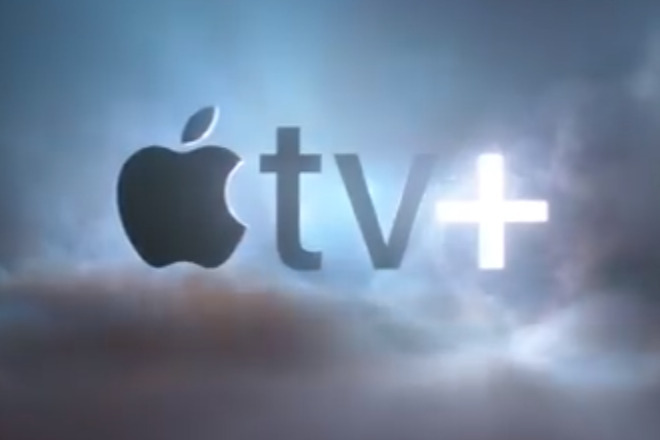 Tim Cook belatedly called it a sneak peek at the forthcoming video streaming service but that is really all it was. Other than the Apple News+ launch, this became less what the company would usually call a keynote and much more what television networks call the upfronts. Every year, the TV networks show advertisers what their Fall programs are going to be and they do so in a very similar fashion. Stars from in front of and behind the camera, although chiefly in front, come out to say how fantastic their show is and how wonderful it is to be on any given network. But, in those upfronts, we get to hear more details about when the shows will air. Advertisers already know how the shows will be delivered over the air or cable, they need to know when. While a network may change things, you'll still often hear that such and such a show is going to air Tuesdays at 8pm. Apple did none of that, and it doesn't have to. It's not had to for well over a decade. Back when it introduced the iTunes music store, maybe it had to tell record labels that it was only a little test that was exclusive to Mac users. Yet even then, it had an audience and it had a way to get music to them all. By the time of Apple Music's launch in 2015, everything was different. Vastly more people had Apple devices and every record label knew it. Apple still had to make deals and it still had to workout how to sell us Apple Music subscriptions, but it was in control of what it did and when. In contrast, the launch of the Apple Watch that same year was a little different. Apple didn't need record labels or studios, it had the product and it had an audience. Not to trivialize how hard is to sell to an audience, it's a lot easier when you have millions of them. Then, too, once Apple Watch was launched, it was criticized and even mocked, but Apple just kept going and going. Now the Watch is undeniably the market leader, now Apple Music is undeniably successful too, and it all comes down to what Tim Cook has repeatedly said. Apple is in this for the long game —and it has a roadmap that it is following, even if that path isn't clear on the outside. Ultimately, any video streaming service needs content, a way to deliver that video, and an audience who'll watch. Much as we would have wanted to know more details and very specifically any detail at all about the pricing, Apple can afford to wait because it has these. Few other companies can, because few others have already got enough of the pieces of the puzzle in place. Right now, it looks as if Disney is the only other company that can tease us like this with a forthcoming streaming service and know that it will get attention. 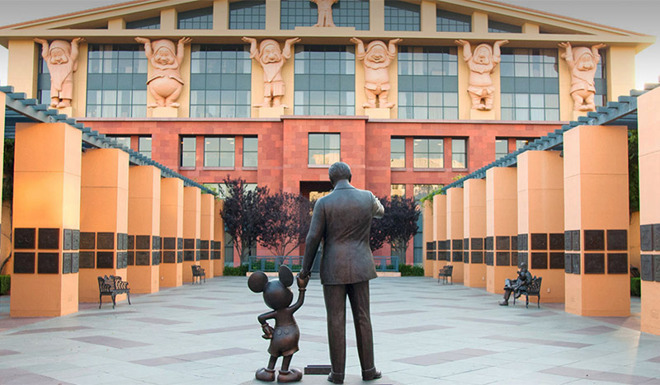 All Disney has said so far about what will be called Disney+ is that it is launching in late 2019 and will have a mix of original and new programs. That's two years since it was first announced. It'll be interesting to see how much or how little detail Disney reveals at its closest equivalent to Apple's event. An investor presentation is expected April 11 and Disney has said it will say more at that event. Disney hasn't said much about what will be on its service but it doesn't need to. We all know the Disney catalog and we all know it has Pixar, "Star Wars," the Marvel movies, the Muppets, and piles of other content it has both created itself, and purchased. As of this month, it also also has the 21st Century Fox library. So, it is well-stocked with material and it has a gigantic audience waiting for it. In comparison, Apple has now shown its wares and discussed how it will deliver it to audiences. We'll be seeing an updated Apple TV app on iOS and on Apple TV itself in May, which is when we can expect Apple TV Channels to start. Then we'll get a rather Marzipan-looking Apple TV app for the Mac in the Fall —just about when we can expect the new programs to start. So that's the content even though it isn't nearly as deep as Disney, and it's the delivery mechanism, which is deeper. All Apple needs now is the audience, and with two billion devices in the field, that's a sizable crop, ripe for the picking. Everyone is expecting Apple to come roaring out of the gate with a complete service and it is not doing that. Hopefully by May for iOS and the fall for the Mac, it will have a comprehensive offering that includes video, Apple Music and the Apple News+ service. Hopefully it will have worked out pricing to make us want to mix and match. The odds are that it will at least have sorted out the pricing. The pricing will be more expensive than we want to pay, but not quite so expensive to stop us. It will be typical Apple pricing, in other words. The combinations of different services might take longer. And while Apple talked exclusively about its original programming, we know it has been looking at acquiring existing shows. Until the Fall, we won't know just how comprehensive a video service we're going to get. Yet if that's disappointing, compare it to Netflix or Amazon Prime. When Netflix began streaming video, it had been a DVD rental firm and was dying. Initially it could only offer around 1,000 videos, a mixture of movies and TV, but it has expanded into the world's biggest streaming company. It is also extremely in debt because of how much it costs to produce original programmes. Amazon Video began as Amazon Unbox in September 2007, just a week before Apple added downloadable movies to iTunes. Amazon Channels is a separate service that it didn't introduce until 2015. And compare both of these to the pioneers of streaming video, CinemaNow and MovieLink. The former began back in 1999 and while you've never heard of it, it did survive until late 2017. MovieLink was backed in 2002 by the likes of Paramount, Sony and Warner Bros, but it closed down in 2008. Apple needs other studios if it's to fill out its wares with existing programming but it's demonstrated that it does not need anyone's help in making new shows of its own. Before this event, Apple's streaming service was typically described as being Netflix-like but that's wrong. Apple Arcade is more like Netflix for gaming, then Apple TV+ is like Netflix for video. Now that it's been officially unveiled, though, it's being described as Apple going after Amazon Prime Video's market. Yet, that's solely down to how Amazon organizes its fairly small video library into channels. Netflix doesn't but now Apple does, so that's it, Apple is going after Amazon's audience. It doesn't seem likely that Apple's got a dartboard somewhere with an Amazon logo on it. It doesn't seem that anyone's going to decide to drop Amazon and move to Apple. So long as Amazon's video service is welded to its Prime one, people are going to keep on using it. At some point, perhaps there's an argument that Netflix users might reconsider whether that service is worth the fee if they tend to watch more on Apple TV+. However, that's not going to happen if Apple has spent a billion dollars on programming and is waiting to see how it fares. It's just shown off its upfronts for this Fall but there's midseason, there's summer, there's next Fall. Apple can't hang around, but it can make us wait and it can afford to have us do that. While Disney may reveal a better programming slate in April and it may price it more attractively than whatever Apple is planning, there's only one other thing that's going to happen between now and May or the Fall. More people will have bought Apple devices.